Walking may seem like an unregulated, 'natural' or 'spontaneous' activity. In fact it is determined by paths and signposts, maps, our tendency to pick a destination, property ownership, how our parents walked, the shoes we're wearing… and so on. It also offers us all a unique way to see the world around us in all its layered complexity (history, archaeology, architecture, aesthetics, myths and stories, collective experience, social engineering, shops and consumer opportunities, entertainment, heritage.) Triarchy titles in this area have a huge number of suggestions and possibilities for understanding and re-evaluating the way we walk through our cities, edgelands and countryside. 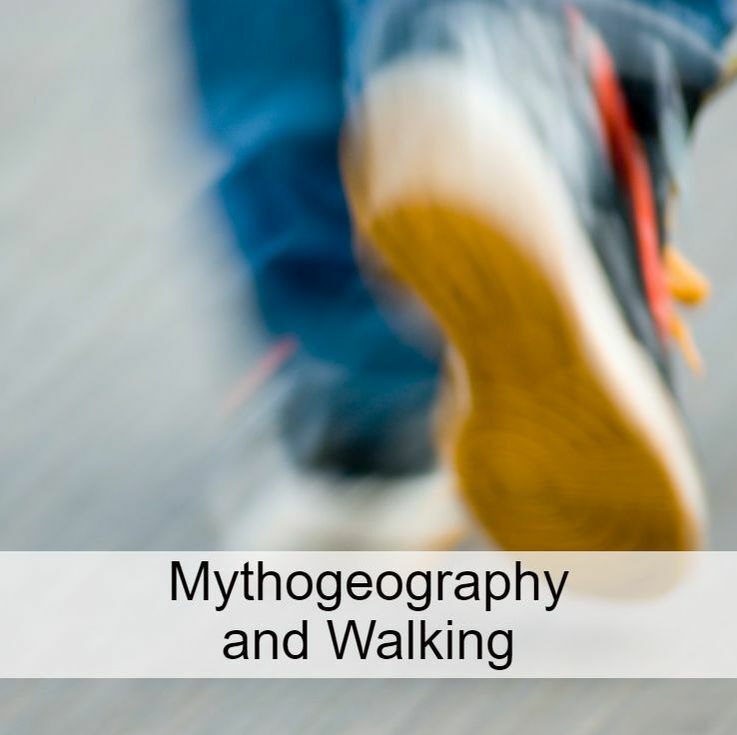 Read more about Mythogeography and Counter-Tourism and about our Walking titles. On one level On Walking describes an actual, lumbering walk around Suffolk. On another, it sets out a kind of walking that the author has been practising for many years and for which he is quietly famous. It's a kind of walking that burrows beneath the guidebook and the map, looks beyond the shopfront and the Tudor facade and feels beneath the blisters and disgruntlement of the everyday. Those who try it report that their walking [and their whole way of seeing the world] is never quite the same again. Phil Smith has updated his thinking on Mythogeography in ​Rethinking Mythogeography. Mythogeography is influenced by, and draws on, psychogeography – seeking to reconnect with some of its original political edge as well as with its more recent additions. As well as being a pedestrian pastime for any interested walker, it's also a serious academic discourse, engaging with subjects like geography, tourism studies and spatial theory. But it also draws on the forgotten, the overlooked, the occult and the anomalous. Combining elements from an art book, field journal and walkers' manifesto, this is a text for performative artists, art students, and all who walk as cultural activism. Walking Art Practice is a collection of intimate reflections by artist Ernesto Pujol, which bring together his experiences as a former monk, performance artist, social choreographer and educator. They serve as a provocation, walkers’ manifesto and teaching guide for walking as mindful cultural activism. For about 9 months, two walking-authors/artists – Alyson Hallett and Phil Smith – found themselves wrestling with not being able to walk normally. They wrote to one another about it and, amongst other things, reflected on: prostheses ~ waddling ~ Butoh ~ built-up shoes ~ walking in pain ~ bad legs ~ vertigo ~ falling (and fallen) places ~ hubris ~ bad walks ~ scores for falling down ~ walking carefully ~ disappointment. This is their conversation. From it, there emerges an 'Alphabet of Falling', a sustained reflection on the loss of normal capabilities, anecdotes and autobiographical stories.